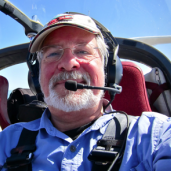 SSA Convention - TMGA is hosting a booth (with the financial assistance of the Phoenix, Pipistrel, and Sundancer organizations) at the Annual Soaring Society of America (SSA) Convention in Greenville, South Carolina, Feb 18-20, 2016. If you would like to participate in the booth, please contact TMGA Director Paul Randall via message on this website. Traditionally when a programmer starts working in a new environment the very first program he writes is "Hello World!" program that prints out "Hello World!" on the screen. Sometimes this takes seconds, but it can take hours as you get all of the files properly configured. I have been working with Invision Power on this conversion and it looks like we are ready to give it the old college try. So here it goes: Hello World!